New for 2018, the top-spec Vista Pushchair from Uppababy is suitable straight from birth when used with the carrycot which comes included within the package. The lie flat carrycot is completely interchangeable with the toddler seat (also included) and can be detached from the chassis with just one hand. Once detached, you can carry your infant anywhere. Conveniently the carrycot has been approved for overnight sleeping too! The chassis of the Vista is manufactured using aluminium and magnesium for a lightweight and durable performance. It features independent shock-absorbing front and rear suspension which is fantastic at tackling all types of terrain, whereas the puncture-proof tyres guarantee you’ll never be left stranded with a flat. When your child reaches 6 months, the toddler seat can be attached in either a front or rear facing direction. 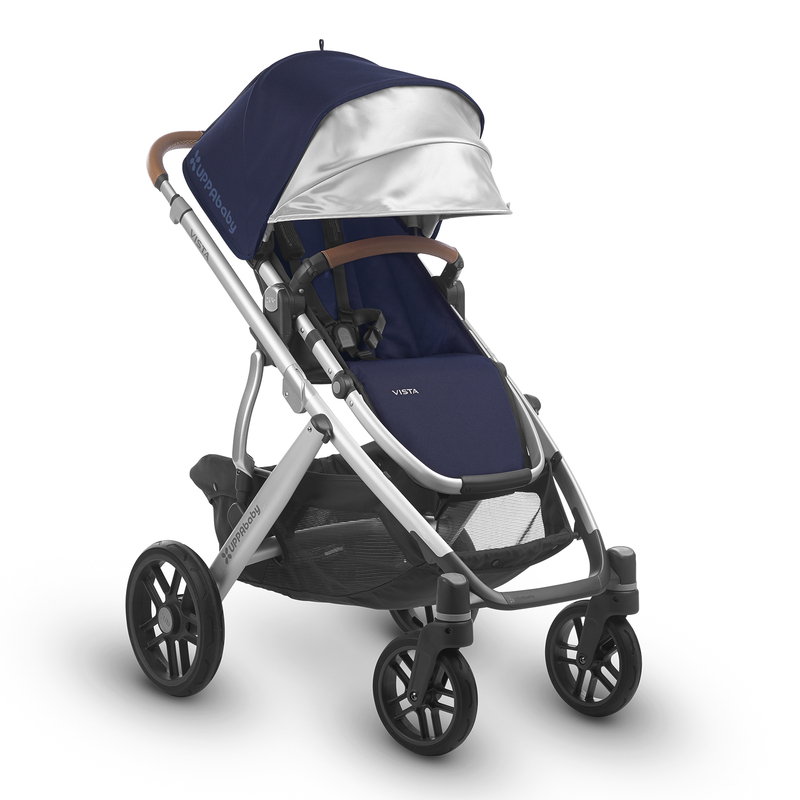 The seat is fully reclinable so you are sure to find a position that suits the mood of your little passenger, whether that be upright to take in the sights or fully reclined for peaceful naps on the go. 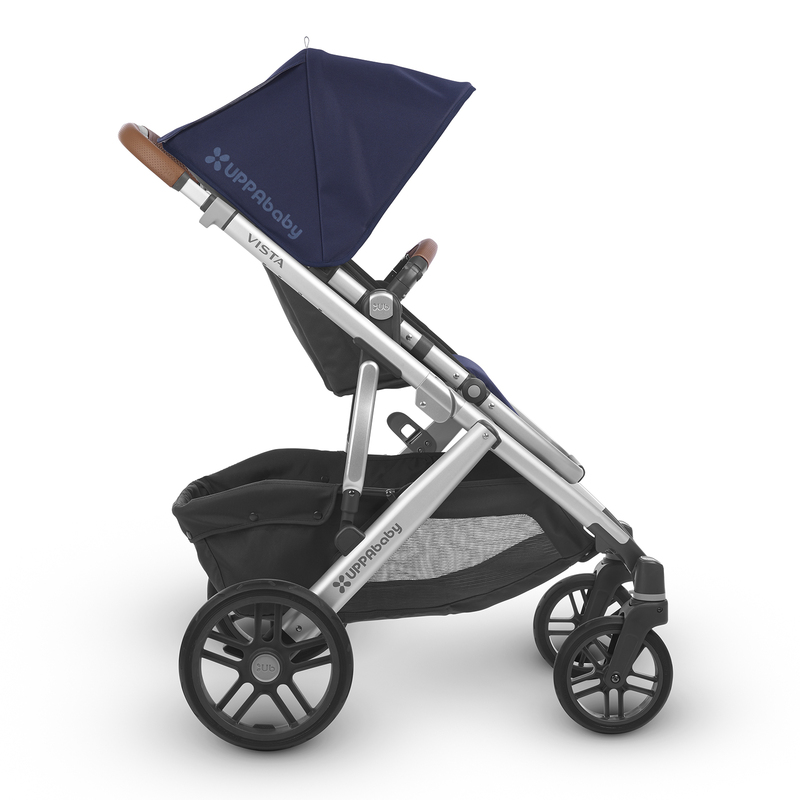 The pull out sunshade features SPF 50+ protection and is height adjustable for growing children. The handlebar is also height adjustable, meaning that users of different heights can easily stroll with baby. 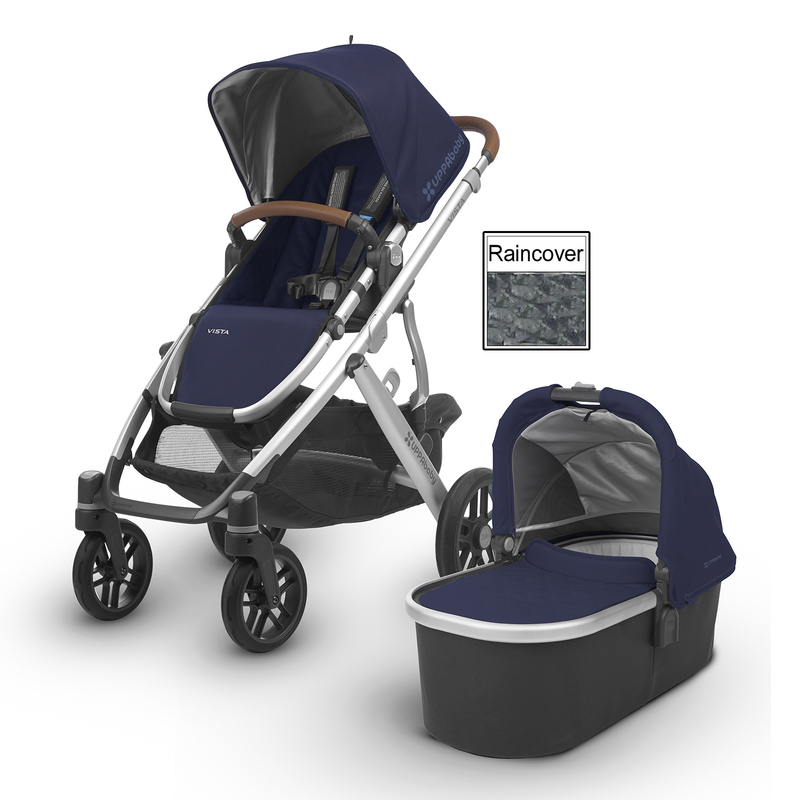 Finally, a raincover and insect shield is included for both the toddler seat and for the carrycot keeping baby protected against whatever mother nature throws at them. In order to transform your single Vista Pushchair into a double, there are numerous accessories you can purchase separately, such as the Lower / Higher Adapters which enable you to use both toddler seat and carrycot simultaneously. The addition of the RumbleSeat turns the Vista into a tandem (2 seat units) and an additional carrycot (+ lower / higher adapters) makes the Vista suitable for newborn twins. For every situation, there is sure to be a possible Vista configuration that suits you and your growing family!